Having been born and raised in the United States, my introduction to things Eastern had come well into my mature years. My education had been of quality, but Eurocentricin orientation, which was not unusual for the time. Although, my undergraduate institution was one of the first Liberal Arts Colleges to institute an Asian Studies program in the mid '50's which concentrated upon the Near East. My first introduction, albeit brief, was during my graduate studies where the institution had a notable Southeast Asian program at the time. I have, over the years, considered this Eurocentrism to be a drawback, if not a hindrance. However, my primarily education was in the Arts-i.e., painting and sculpture-which has given me a visual sense that has served me well over the years. This was particularly true when applied to my advanced studies in Comparative Arts-i.e., Art and Architectural History. Being then a neophyte, an intellectual and experiential virgin with regard to the Orient was, in some cases, somewhat problematical. However, my approach over the years to the iconography of Buddhism and Hinduism as been with the acuity of the uninitiated. Through my rather eclectic training, I was able to see, to perceive certain similarities and differences that may have passed the eyes of one who had been solely trained in the scholastic method. This was especially true when confronting images both two and three dimensional. 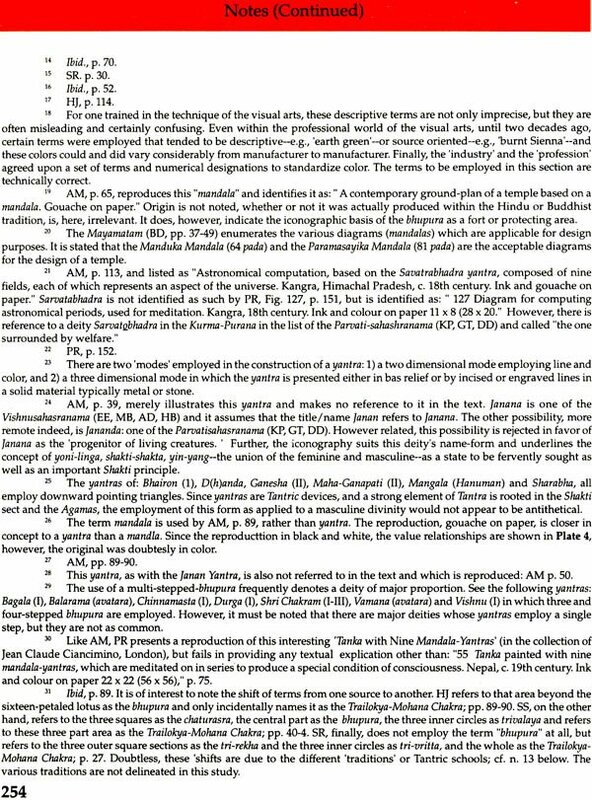 As part of my third compilation, An Encyclopaedia of Hindu Deities, Demi-Gods, Godlings, Demons and Heroes With Special Focus on Iconographic Attributes, I included an appendix dealing with the Yantra as it related to the iconography I was urged to expand this into the form that is herein included. 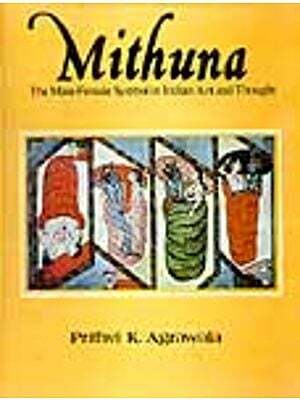 Contained within this brief study are a small number of Tantric yantra which are employed for a specific purpose. They are incorporated, particularly when they involve or refer to a specific deity. There are numerous, nay, hundreds of other yantra which are employed for any number of reasons or desires-e.g., yantras for the birth of a son, for stammering, for heart attack, to tease an enemy, for piles, etc. The following yantras are but a sampling and are not intended to represent the entirety of yantras that are dedicated to a specific deity or deities. 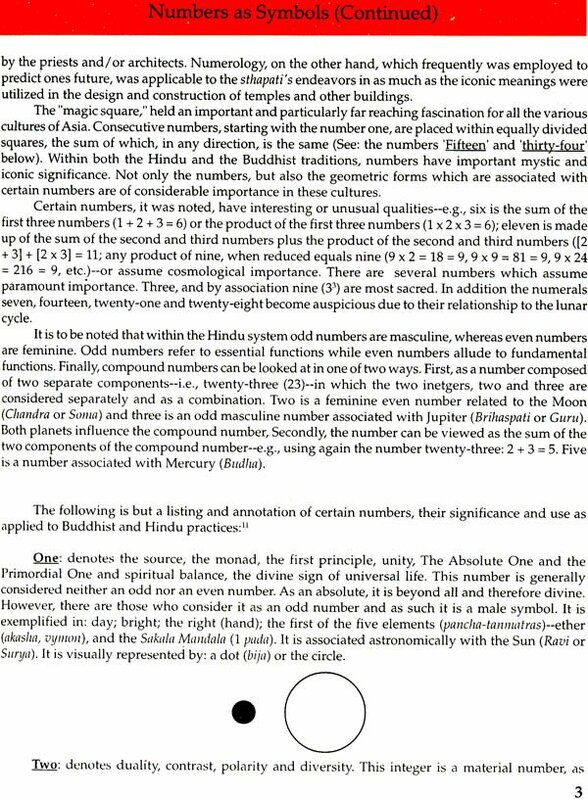 Further, the yantras herein contained were computer generated by the author from drawings (a number by Deepak Singh [DS]) kindly supplied by Mr. Susheel Mittal of New Delhi as well as various monographs, articles and actual yantras observed by the author. The sources are noted with each yantra considered. Indic terms rendered in English transliteration. There are numerous complete dictionaries that can supply the Indic spelling. The "Index," however, includes the Indic spelling with proper diacritical marks. Virtually every major world religion employs abstracted symbolic elements which carry varying degrees of potency, latent power or cognitive elements. These iconic elements, in most cases, represented the deity's existence rather that being a manifestation of the deity. Christianity employed the fish symbol in its nascency as a badge of recognition which carried iconic meaning. 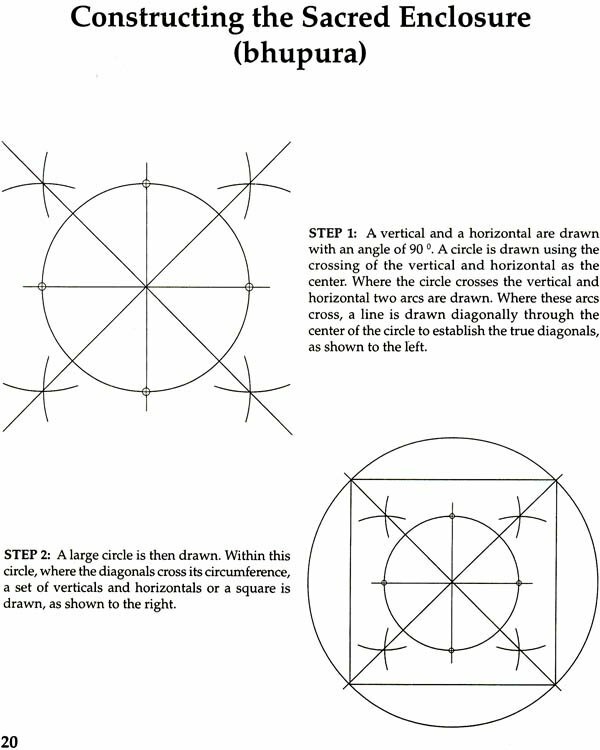 Later the cross became the Christian arch-symbol and it developed into a number of forms. The wearing or displaying of these symbolic forms not only identified the bearer, but also carried with them certain potent, protective qualities as well-e.g., a number of Eastern European Christians believed that just by wearing the cross protected them, shielded them from evil or malevolent forces such as vampires, or, were sure assurances of entry into paradise, particularly if held in the hand at the time of death. To the more enlightened, modern Christians, the cross is an icon which in-and-of-itself is not imbued with sacred power or presence, but is symbolic of the source of that power. To-the-point that, members of liturgical sects will bow their head as a processional cross passes them. Recognized symbols as a referent to the Christian deity are, due to the nature of the theology, finite. Early Buddhists also employed symbols, which held important and special significance. The eight-spoked wheel was to the early Buddhist a symbol of the setting into motion the dharma as first preached by the Lord Buddha. To the Theravadist, it is a symbol of the important historical and philosophic event which possesses theological implications. The Mahayanists, and particularly the Vajrayanists imbued great power into abstract symbolic thangkas. To Judaism, the abstract from of the stone tablets received by Moses or the six pointed star, the Star of David, are merely cognitive symbols of recognition or belonging and carry with the no inherent or supernatural power. The iconoclastic Muslims eschew visually recognizable natural symbols, particularly human forms, of the deity. The major exception is the Arabic letters denoting Allah. Yet, virtually every home in the Islamic world will display this "sign," and it, the name, the written name is highly revered. However, it is the spoken word, the audible recitation that carries the greatest and undeniable import within Islam. Abstract forms (yantra) which are employed by the Hindu, are also utilized by Buddhists and in some instances by Muslims as well. However, particularly in relation to the latter faith, it must be emphasized that their employment are not canonical or Koranic, but rooted within ancient regional or local beliefs which are tolerated. Tolerated by Islam as long as the practice is not viewed as impinging upon the faith, or are anti-Koranic. The proliferation of symbols that are to be found in the Hindu tradition are more abundant. Not only are abstract forms recognized, but various natural forms are viewed as a direct expression of a deity-e.g., naturally formed, smooth, ovoid rocks are recognized as Shiva linga and a shalagrama is seen as a manifestation of the Lord Vishnu. If one is remotely aware of the myriad Hindu deities, they are cognizant of their many forms-i.e., multi-headed, both fierce and calm of visage, and often with numerous arms. Not only are the various Hindu deities represented in abstract diagrams known as yantras. these diagrams are frequently made up of geometrical shapes and some employ numbers and letters (Sanskrit). They are employed to call down the deity to a special place, or to insure a desire of one sort or another by the devotee. Yantras are two dimensional but infer three dimensions. They are "an instrument, an apparatus, a talisman or (a) mystical diagram." They are drawn by an adept and energized by a sidh mantra. 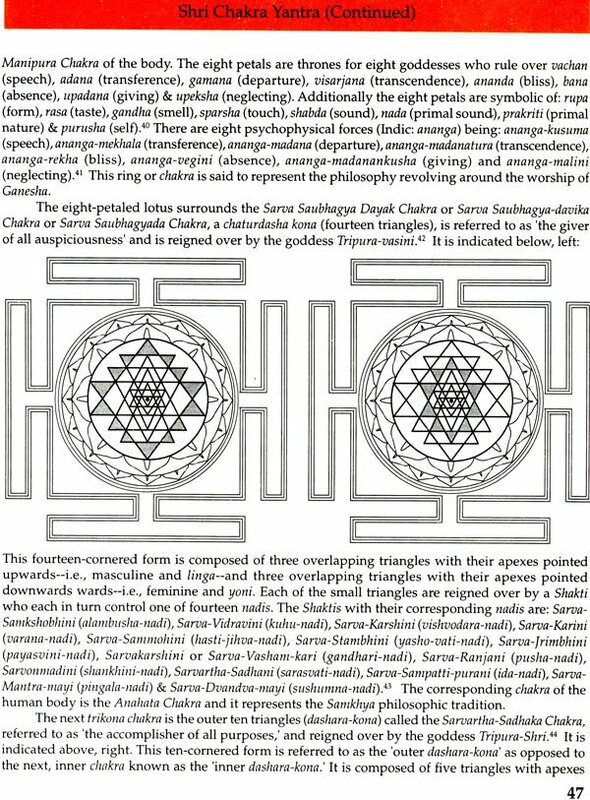 Frequently, Hindu yantras appear as a square, or bounded within a square. The square, a form sacred to the Hindus, represents the earth, the corporeal world. A square within a square represents heaven, the spiritual world. However, there are other forms in which yantras appear from time to time. Often triangles are employed. They too have a divine significance-the divine, that which is unattainable but fervently sought. The center, sometimes represented by a dot or a small circle (Indic: bindu) which exemplifies the deity, eternity, the ever-past, ever-future and is the power locus of the yantra. Additionally, it is believed that it is from the bindu that the triangles, squares and rectangles so necessary for the yantra are formed. To construct a yantra is in itself a holy task, the commissioning of which brings much brings much merit as well as the desired effect. It employs often-elaborate preparation and the execution of which necessitates one schooled in this intricate and arcane process. It is accompanied with the recitation of sacred syllables called mantras that are applicable to the deity or outcome for which the yantra is employed. an Egyptian Tau, (and) of Modern Theosophical Societies." Not to mention its importance as a symbol to the Jewish faith and to the Buddhists. 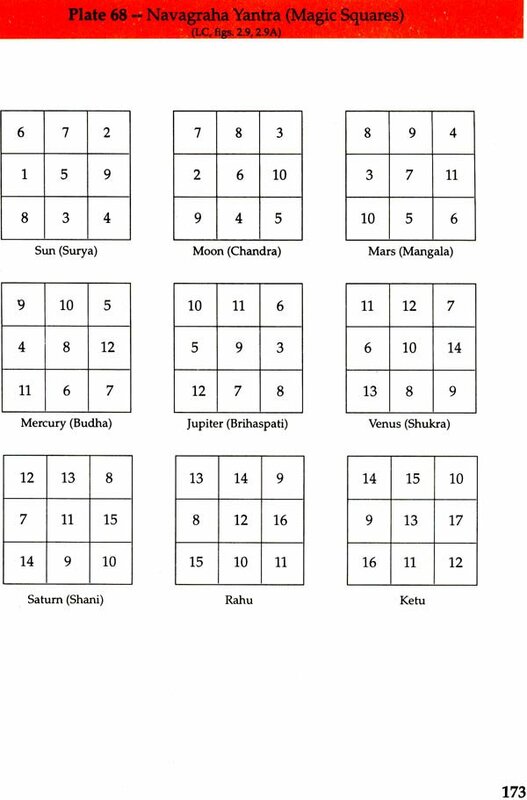 Within the Hindu tradition, the application of the yantra is divided into six categories regarding their usage. 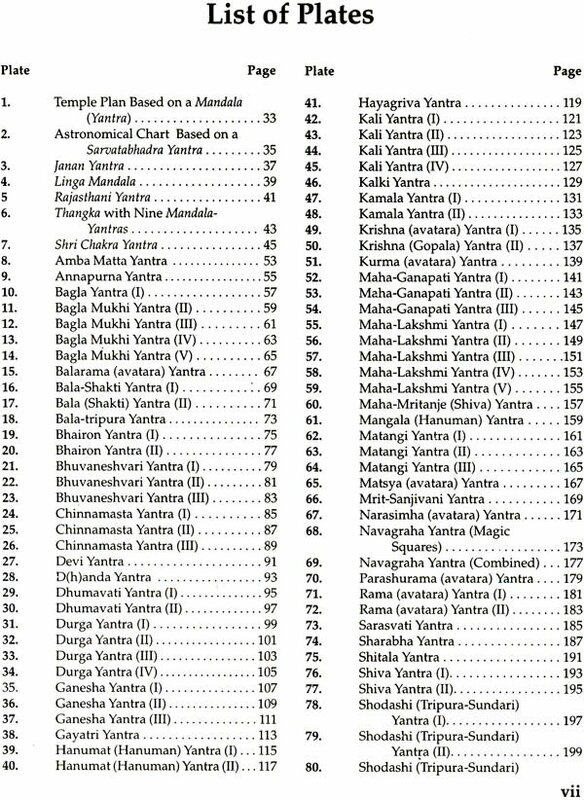 As such, they are grouped within the general rubric of Tantra: 1) the Vashi Karan used to being any being under ones influence; 1) the Shanti Karan which is employed to ward off diseases and any other negative influence; 3) Stambhan yantras may be employed to neutralize the negative undertakings of ones enemies; 4) the Videshan are used to create conflicts between people; 5) the Uchattan which are engaged to divert ones adversaries from their duties; and 6) the Maran yantra are composed to cause the death of any being. 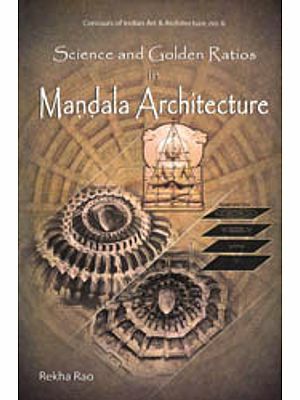 There are six varieties of yantras: 1) Shakta yantras--referring to any yantra that represents the Divine mother-2) Vaishnava yantras-- referring to any yantra that represents any form of the Lord Vishnu or a related deity (e.g., Mritasanjivani)-4) architectural yantras--referring to those yantras inscribed for ground plans (Manduka or Paramasayika Mandala--5) astrological yantras-referring to those yantras which apply to the Navagrahas either singly or in combined form-and 6) numerical yantras. There are seven types of yantras: 1) Sharir yantras--applied to the six Chakras-2) Dharna yantras-- which are worn on various parts of the body for specific purposes-3) Asana yantras--which are kept under the asana during sadhana--4 Mandala Yantra-- in which the devotees assume the form of a yantra-5) Puja yantra-- which are ascribed to different deities-6) Chhatar yantra-- They are kept on the person, usually under hat or turban, wrapped in a piece of cloth-and 7) Darshana yantra refers to yantras that are installed in a sanctified place which beings benefit when viewed by a devotee. There are numerous yantra which are dedicated to particular deities-- Puja yantras. They are often deities which have special significance for the individual, family, village, district, etc. when the deity is a personal deity, the aim of the yantra and the accompanying mantra is to enliven the kundalini (the sleeping serpent, shakti power) within the individual. If this is accomplished successfully, the resultant effect is the attainment of super consciousness and the attainment of samadhi. Of major significance are the Mahavidyas-ten Tantric Shaktis-- whose realm within the Hindu pantheon are highly puissant within the Shakti sect. The oft confusing surfeit of deities finds another parallel in the yantras. Not so much in numbers, but in other confusing conundrums--- bewildering for the non-Hindu, and is some instances even for Hindus. It is to be noted that the yantras of Krishna (avatara), Balarama (avatara) and Hayagriva are virtually identical. Is this due to the fact that they are closely allied with the Lord Vishnu? Each deity's yantra is, as noted above, constructed and accompanied with a specific mantra for that deity. Obviously where the yantras are visually comparable, they are in practice not identical due to the very specific mantra employed. In addition, there are, in a few instances, differing yantras for a particular deity. In conversation with a number of Brahman priests, no reason for this fact was adequately explained. Merely, "they are different." In one instance-i.e., the Kali Yantras (Plates XLI-XLIV)-One Source Depicted This yantra with the triangles pointed upward. The triangle with its apex pointing upward is masculine, referring to the linga. Whereas, the triangle with its apex pointing downward is feminine, referring to the yoni. Since Kali is a most important goddess, these upward pointing triangles seemed out of place for her. Also the yantra may consist of various lotus-some with eight petals (ashta-dala padma), others with twelve petals (dvidasha-dala padma), etc. There is seen to be variations in the supportive forms of a yantra. For example, the shape and form of the lotus petals vary from one source to another. It would appear obvious that their form is less important than the internal forms of the yantras--i. e., triangles, stars, etc. yet H. Johari provides a rather detailed process in the construction of a lotus petal. He states that the petal should be in a "heart-shaped form" and resemble the feminine yoni. Nonetheless, the form of padma petals is merely a stylistic device which falls to the whim or preference of the one constructing the yantra, or the region from which they are derived, or regional preferences and/or peculiarities. Likewise, the outer form of the bhupura is apparently also a stylistic device. 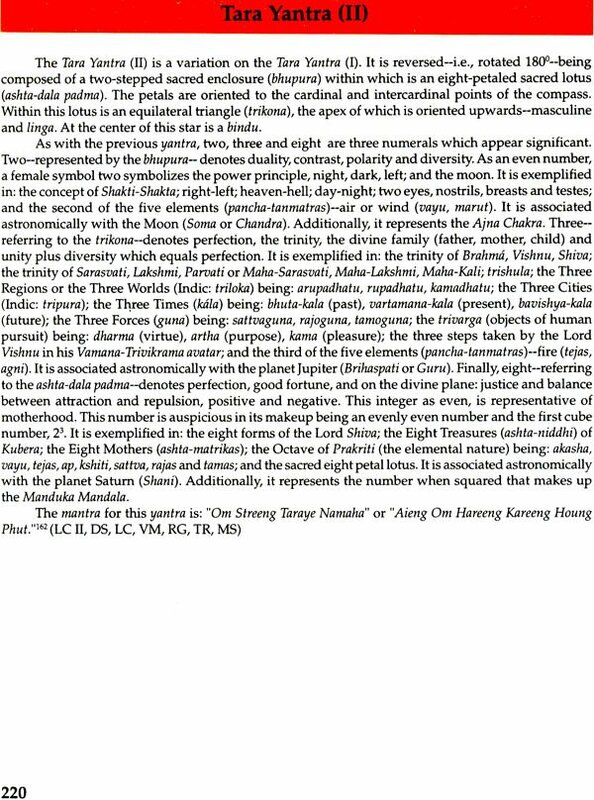 Variations of forms are noted below under: 'Variations on the Bhupura Shape." These variations do not refer to the levels or steps in the bhupura, merely their form or shape. 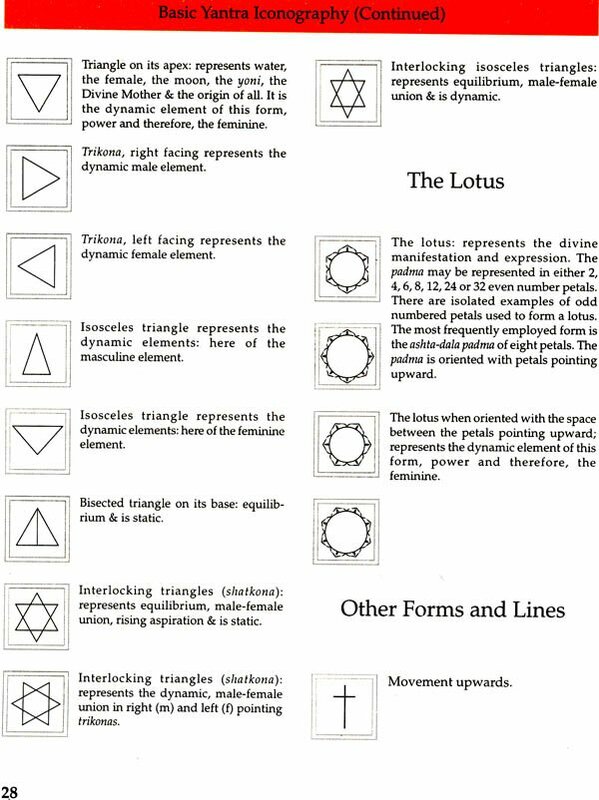 Further, not only the employment of certain shapes and forms have significance, but the repetition of certain forms are important-e.g., the number of lotus petals within a circle, the steps surrounding the sacred enclosure (bhupura,) numbers of ascending circles, etc.-are of significance. Numerology, as an occult science, finds its genesis deep in prehistory. The earliest historical records are replete with references to the importance of certain numbers. Earliest mankind doubtlessly found the repetition of certain numbers in nature-e.g., two as in day and night, the sun and the moon, male and female, or mother and father; four as in the seed, early growth of a plant, maturation and harvest (death) or, out of necessity, (the) four directions; or six as in the number of petals in many flowers or in the sides of a bee's comb. They saw these repetitions, these numbers as of some significance and may have ascribed certain importance or attributes of them. As mankind progressed and began to develop into pre-civilized groups, other numerical repetitions, often cyclical in nature, probably began to be seen as important-e.g., the cycles of the moon, tides, in the temperate climes, the seasons of the year, and the solstice as well as the equinox assumed major importance. 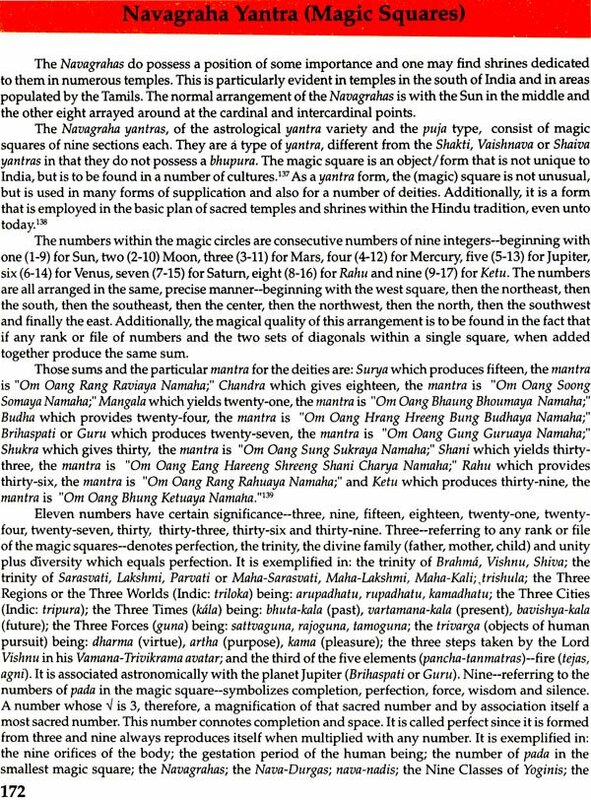 Needing to ascribe some reason(s), some meaning for the natural phenomenon that were observed, cosmic and/or magical associations were obviously seen to be the reason(s) behind these numbers. From these observations, from the need to attribute some meaning to these natural occurrences, cosmic associations were seen and an oral catalogue of these were doubtlessly the genesis of this occult science. From the Jacket: Hinduism is known for the bewildering profusion of its deities, who are represented not only in two or three dimensional anthropomorphic images, but also in abstract configurations, known as yantras. In yantra's is, thus, seen almost a parallel with the surfeit of deities in Hindu tradition. Literally meaning an 'instrument', 'apparatus' or a 'talisman', yantra is a kind of mystical diagram used, in Tantra, for both meditation and invoking a divinity, and is believed to possess/ arouse occult-powers. Drawn only by the adept: the ones schooled in this arcane, highly intricate process, and energized by Siddhmantras, these seemingly innocuous geometrical figures are employed for any number of reasons or desires: whether to attain wealth, ward off disease, beget a son, vanquish enemies, or even to cause somebody's death. This book, the latest from Professor Bunce, highlights the essential import of these innocuous-looking, yet enigmatic, diagrams surfacing from the occult practices of the tantrics. 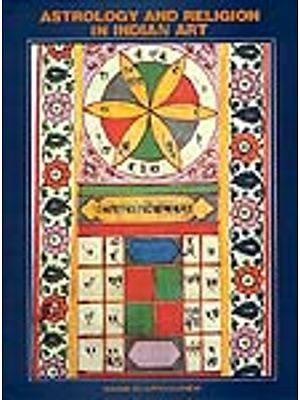 The author, an internationally known scholar of Oriental Art, examines a range of tantric yantras, with their varieties, applications, modes of construction and, above all, their iconographic features. 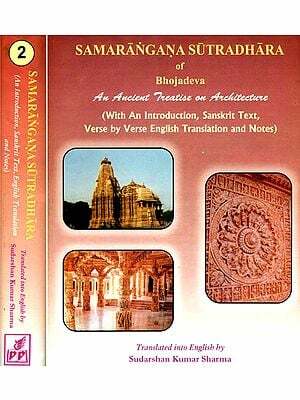 Also interwoven in his text are lucid descriptions of all else associated with a yantra, notably, its deity, its specific purpose, its predominant and secondary numbers, and its mantra. 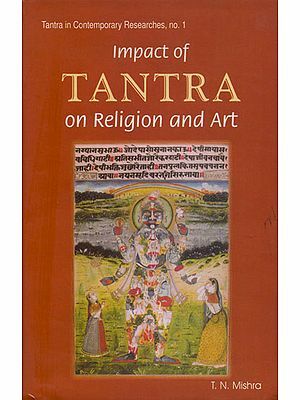 Carrying beautiful visual representations of over a hundred yantras, Professor Bunce's study holds out enduring appeal to the readers concerned not only with the iconography of tantric yantras, but their mystifying under-pinnings as well. Fedrick W. Bunce, a Ph.D. (Comparative Arts) from, the Ohio University Athens,Ohio, USA, is a cultural historian of international repute. Now Professor Emeritus of Art, Indiana State University, Terre Haute, Indiana, he has lectured at learned forums and published on variety of art related themes. And has held many a solo exhibition at different art galleries, art museums and universities; besides his participation in the artist's guild/faculty/other ventures of the kind. A scholar with varied intellectual/research concerns - notwithstanding his specialisations in iconography, particularly Oriental and Buddhist Arts, Professor Bunce has been legitimately honoured with certain notable awards/commendation, and is listed in who's who in American Art and also the International Biographical Dictionary:1980-present. 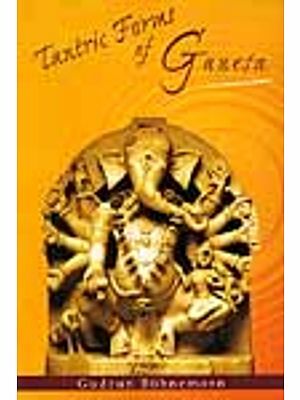 His earlier works, Encyclopaedia of Buddhist Deities, Demigods, Godlings, Saints, and Demons; A dictionary of Buddhist and Hindu Iconography; and An Encyclopaedia of Hindu Deities, Demigods, Godlings, Demons and Heroes, have received scholarly acclaim in India and abroad.